Backupify is a Datto company that has been offering a cloud-to-cloud backup and recovery solution for enterprises, for nearly a decade. With Backupify, it is possible to protect data in a variety of services and platforms including Salesforce, Google Apps and Office 365. Cloud-to-cloud backup is a convenient option for companies since it can make the data recovery process easier. In case of loss of data due to problems with the hardware or human error, a cloud-to-cloud backup solution will enable the IT department of a company to handle the recovery without major issues. It is a simple solution that doesn’t require a lot of input in order to make sure that your data is backed up. Here is more about Backupify. Installing and using Backupify is easy and there is a free trial available that allows you to test the services available. The interface is designed to help you to manage your data effectively and to get fast access to the functions supported. Backupify offers solutions to backup data in different Saas applications so you can select the option that better suits your needs. There are products for each application and data is protected across all of the options supported. The Office 365 solution allows you to backup SharePoint, OneDrive, Calendar, Microsoft Exchange and Contacts automatically. It also supports audit logs, uptime, availability SLAs, data controls and other functions. Backupify is an effective method to protect your Office 365 data and it helps to avoid the issues related to loss of data. There are different ways in which your Office 365 information can be affected, which is why it is better to have an independent backup and restore solution such as Backupify. It is important to keep in mind that it is possible to lose data due to an inactive license, or permanent deletion. In addition, the data may be overwritten when a restore is performed. In all these cases, there is no rollback option, which means that the data would be gone for good. However, Backupify protects your Office 365 data and it allows you to find the backups easily, saving you time and hassle. There is also a solution that allows businesses to protect Google Apps data. Since many companies use Gmail, Calendar, Contacts, Drive and other Google products, Backupify understands the importance of keeping this data secure. If you are worried about potential loss of crucial company cloud data in case of accidental deletion, Backupify will give you peace of mind by protecting the data and ensuring that it is available when needed. It is also an effective way to ensure that the data can be used, even if the employee who created it has left the company. Backupify offers a backup solution that protects Google cloud data in every aspects, allowing your organization to avoid issues that could have an impact on productivity. The day to day activities of your business won’t be interrupted because even if a file is lost, it can be easily located and retrieved. The practical search filters will help you to find backed up data without delays. It doesn’t matter if you can’t remember the name of the file or folder. You can also find and get access to previous versions of documents. Data can be restored directly to user accounts or downloaded to a computer or device within minutes. It is possible to set up your own backup data retention period. You can also archive or export complete user accounts, without spending more on licensing fees. Salesforce data can also be backed up with the help pf Backupify. Important information such as CRM leads, order verification, contract agreements, confidential customer data and more, can be protected to ensure that your company always gets access to details that are key to the business. The Salesforce data is automatically backed up on a daily basis and even if accidental deletion or anything else puts the information at risk, you won’t need to worry because Backupify will allow you to recover it. The restoration process is quick and simple since attachments, metadata, files, custom objects, Chatter messages and more, are saved to a unique cloud environment. Backupify allows you to manage Salesforce effectively and it can reduce API costs and prevent interruptions on your applications. You don’t need to set up reminders to manually back up the data. The backup is performed automatically and you can access all the data saved, as long as you are a Salesforce user. 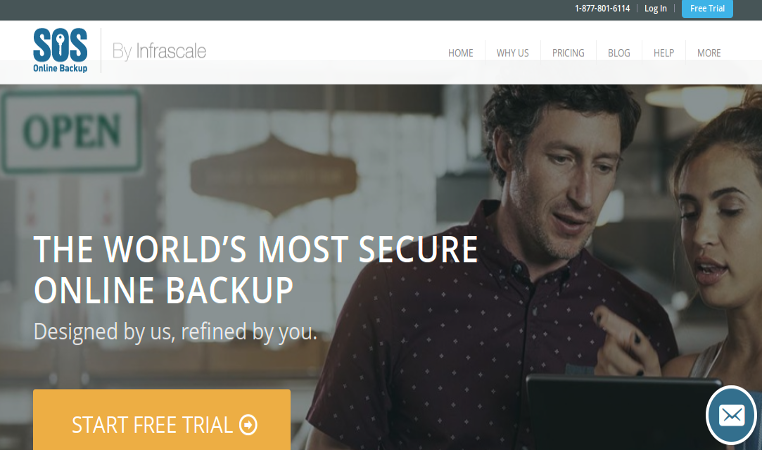 Backupify eliminates the need for third-party storage and external servers to back up data. All the products supported by Backupify are HIPAA and Safe harbor compliant. In addition, they include data encryption to keep your data protected, not only in case of loss, but also to protect it from security threats. IN addition, Backupify allows you to back up Social media so you can save content from Facebook and Twitter. One of the most important aspects of Backupify is security and there are multiple measures that are focused on keeping your data safe. As mentioned before, all the products available come with built-in encryption. All your online information is encrypted using AES 256-bit, which provides a strong level of security. SSL with 256-bit encryption is used to secure all the activities performed on Backupify. From the moment you log in to Backupify, everything you do including changing settings and accessing backups will be secured. Each account gets a unique encryption key and the information is secured with that key, before being stored. When the web interface is accessed by a Backupify user, the encryption key is used to decrypt the data stored. The AES keys are kept on the Backupify servers and all the keys are protected with Backupify’s master key, which uses RSA-2048 encryption standard. Backupify offers a free trial that allows you to test the solution that you want to use, before paying for a subscription. There are different plans for each Backupify solution, with prices starting at $3 per month, per user for the Professional plan. The Enterprise option costs $4 per month, per user and the Enterprise + plan is priced at $900 per month, per domain. If you want to get Backupify for Salesforce, you can choose the Basic plan, which costs $199, per month per user, the Professional plan for $499 per month/user, or the Enterprise option which costs $799 per month, per domain. The pricing for Office 365, would vary depending if you are a client or a partner. Backupify offers an extensive Knowledge base with answers to questions that cover a wide range of categories. You can find information about all the products supported and about general aspects of the service such as billing. If needed, you can also submit an online request or contact the support team by phone. Thanks to its reliability and ease of use, Backupify has maintained a leading position in the world of cloud-to-cloud solutions. It supports practical features such as Automated daily backups, full account export, centralized management and search filters that allow you to easily find the data you need. 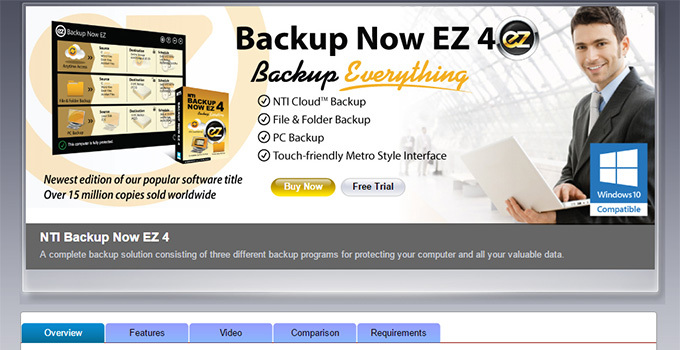 You can restore data with one click and enjoy highly secure cloud storage.